As Australia’s eastern states continue to experience some of the toughest drought conditions on record, and with temperatures forecasted to soar over the next six months, it’s recommended that farmers fortunate to have some moisture available, maximise opportunity by investing in custom fertiliser blends to help boost their feed provisions. The limited availability of feed has taken a particularly heavy toll on farmers across Queensland and New South Wales over the last number of months. Low autumnal rainfall coupled with a very dry winter has forced fodder prices to – in some cases – treble to more than $300 per tonne. 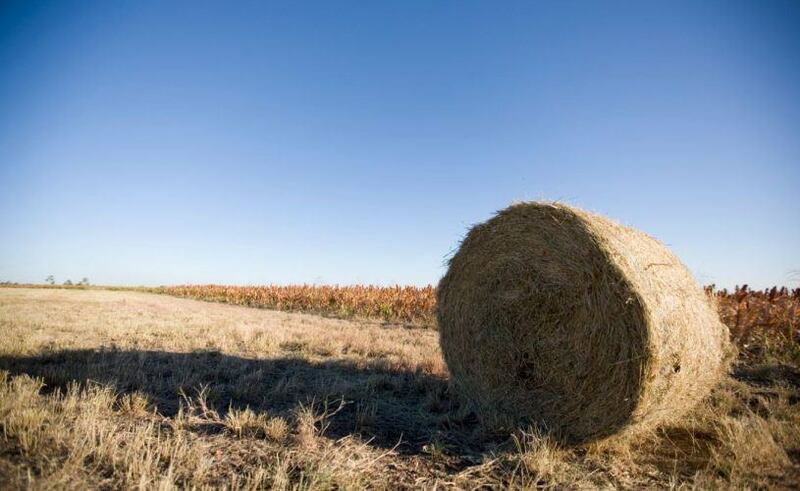 With limited but adequate moisture still remaining throughout Victoria and south east South Australia, farmers in these regions have a window of opportunity to leverage the damp conditions, increase hay yields and keep their feed stores well stocked ahead of the impending warmer months. Elders Livestock Production Advisor, Rob Inglis, said farmers should invest in blended fertilisers now as this will help stimulate grasses into spring-like conditions ahead of the official arrival of the new season. “Ideally, producers should combine at least 30 kilograms of nitrogen with 20 to 40 grams of gibberellic acid per hectare. The nitrogen will act as a nutrient infusing agent in the soil, while the natural plant hormone in gibberellic acid encourages a reproductive phase within plant cells – stimulating the stem elongation that would usually take place naturally during spring time,” he said. Mr Inglis also said farmers need to conduct a realistic appraisal of their individual situations, in order to evaluate how much dry matter they will be able to produce for their livestock in the coming months, and so they can adequately prepare before both moisture and time runs out. “Currently, a kilogram of grass is potentially worth 30 cents. The time and cost of creating and maintaining a fertilised pasture is well worth the investment,” Mr Inglis concluded. For more information on maximising yield contact your local Elders agronomist or livestock production advisor.